We provided our grass cutting services for a customer in Exeter as their garden was in much need of a tidy up. A customer in Exeter contacted us in regards to carrying out some maintenance work at their home. We gladly accepted the job and got to work preparing the garden for the customer to use over summer. Our main aim was to cut the grass and clear any mess in preparation for summer. 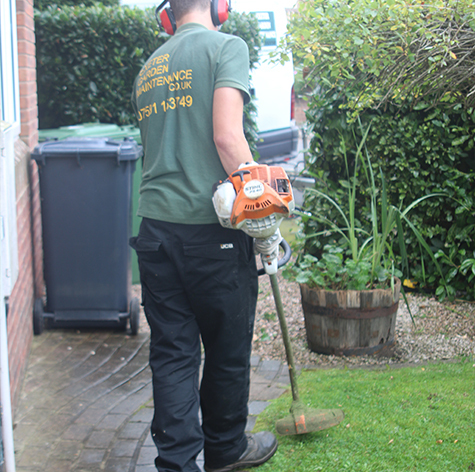 Once the job was complete we removed any grass cuttings and garden waste to leave the area as clear as possible. If you are interested in enquiring about a similar job for your home or business, simply get in touch. Our team are always on hand to help and will happily answer any questions you might have. Expert grass cutting for a residential customer in Exeter.